22-year old Austrian opposite Paul Buchegger, one of the big pickups for Italian pro squad Monza this off-season, is expected to miss at least the next 5 months after suffering a knee injury on Saturday during Austria’s 3-1 win over Portugal in European Championship qualifying. 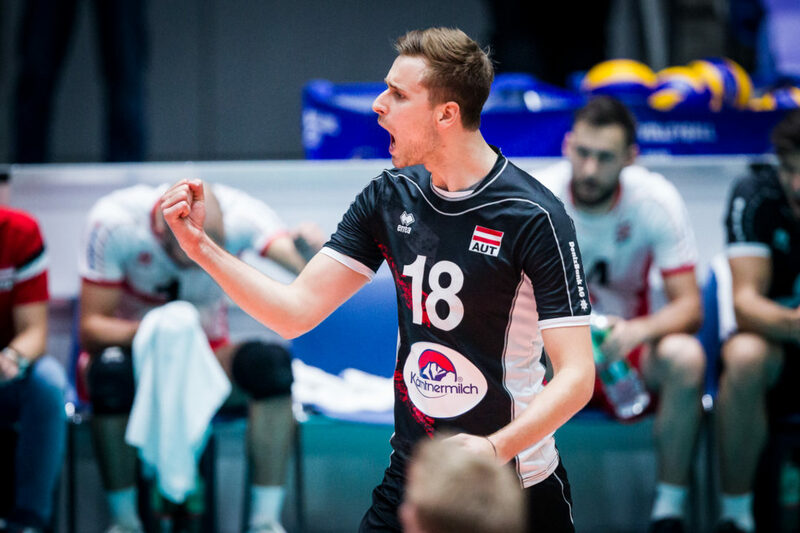 Buchegger went down in the 3rd set of the match, and the Austrian federation announced on Sunday that Buchegger would undergo surgery and was expected to miss 5 months. The team was playing at home, in Vienna, and so Buchegger was first sent to a hospital in Zwettl, the town of 11,000 where the match was being played, to the Rudolfinerhaus hospital in Vienna. He consulted with knee specialist Dr. Lukas Bradner, and spent the night in the hospital. An MRI on Sunday, the day after the injury, found a torn meniscus. Buchegger and the medical staff decided to sew the torn meniscus, which means a much longer recovery time, but should extend his career. From injury to surgery was just a 12-hour turnaround. Buchegger ranked 2nd in Italy’s Serie A1 in scoring during the 2017-2018 season with 458 points (487/set) while playing with Ravenna. 59 of those points came on aces, and he hit 46.2% on the season. Not wasting any time, Buchegger has already been cleared to begin his rehab on Tuesday at the Olympic Center in Linz. Prior to the injury, Buchegger amassed 17 points, which even without playing the last set-and-a-half was the top output for Austria in the match. 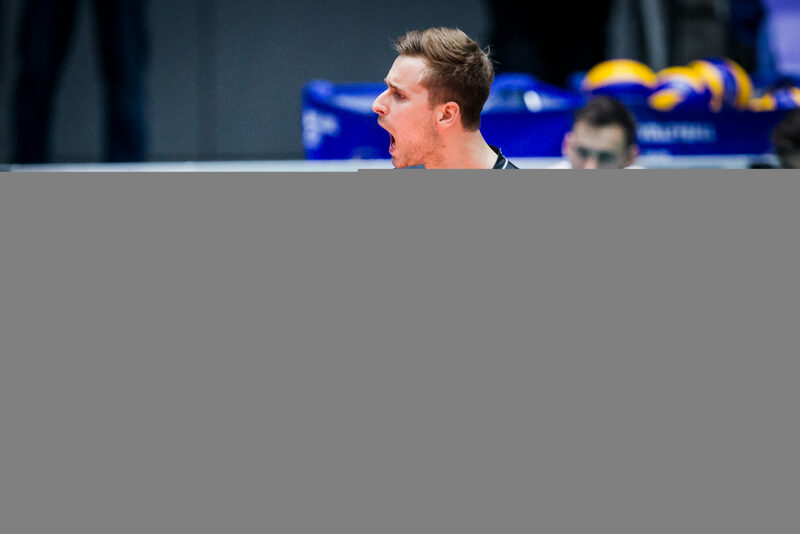 He was replaced by Thomas Zass, who picked up the scoring load in short order with 15 points in just a set-and-a-half, including 13 kills on 27 swings. World #48 Austria currently ranks 2nd in Pool D, behind Portugal, thanks in part to an upset 3-2 loss at the hands of world #118 Albania. The winners of each of 7 pools in the qualification tournament advance to the 2019 European Championships, as do the 5-best runners up.